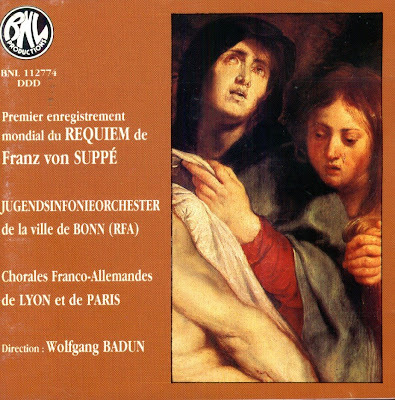 Suppé's Requiem was dedicated to his friend Franz Pokorny. It was finished in 1855. When you listen to the music, you recognize a strong operatic Italian style. It was written for a four-voice choir, four soloists and orchestra. The masterpiece was rarely performed, so it slipped into oblivion later. After the composition had been rediscovered, a World Premiere Recording followed in 1989. The Compact Disc was released by BNL Productions, 1989, (DDD).